Here you can find Play Kitchens. Playing with a pretend play kitchen is a fun role play that most children like. We have children's kitchens in different models and colors that are fun to play with and also are nice decor in the children's room. 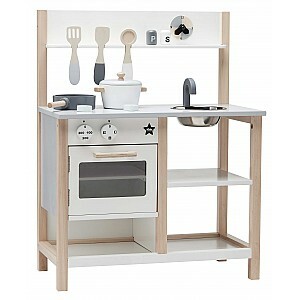 Choose from our nice wooden toy kitchens. Here you will find everything from smaller mini kitchens to larger kitchens, refrigerators, play stoves, grills, etc.